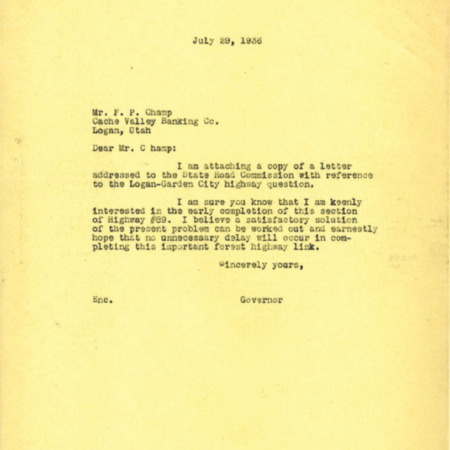 Correspondence from Utah Governor Henry Blood to F.P. Champ of the Cache Valley Banking Company, reiterating the Governor's interest in having the section of Highway 89 between Logan and Garden City completed early. 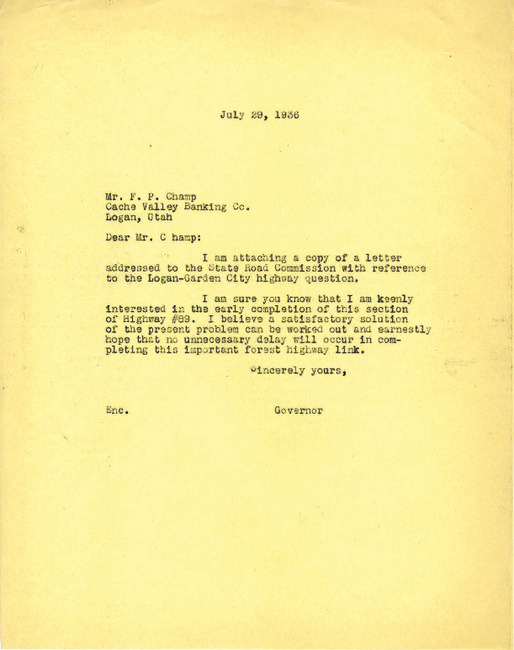 Governor (1933-1941 : Blood) , “Correspondence from Henry Blood to F.P. Champ, July 29, 1936 ,” Highway 89, accessed April 22, 2019, http://highway89.org/items/show/10244.